The New York Public Library will host a unique theatrical production Saturday, November 9 at 2 p.m. Its uniqueness is not in the fact that it is bilingual and will be performed simultaneously in English and Russian, but that it is a production about Boris Pasternak, the Nobel Prize-winning author of the tragic love story “Doctor Zhivago,” and Olga Ivinskaya, the poet and literary translator who was his lover and muse. Performed by actors from the U.S. and the former Soviet Union, it will surely please theatergoers and poetry lovers. The artistic directors of the project, both of whom penned a play based on Pasternak and Ivinskaya’s romance, are Irina Volkovich (Literary Theater Dialogue), who wrote the Russian-language “The Candle Burned,” and Scott Sickles (WorkShop Theater Company), who did the English-language “Lightning from Heaven.” They answered questions from Russian Bazaar. Irina, how did you learn about Scott Sickles’ project? Many readers of Russian Bazaar already know about your theater’s performance of “The Candle Burned.” Suddenly, this collaboration … Was this a coincidence or did you intentionally seek a production similar to yours, but in English? How and why was the idea of the joint project born? No, I was not searching for it. I just saw an advertisement for the play “Lighting from Heaven” produced by an American theater about Boris Pasternak and Olga Ivinskaya. Naturally, it got me interested, but at the same time made me wary… After all, I have devoted a lot of time to these particular characters, and, without exaggeration, gave them a part of my soul. I, almost literally, put under the microscope all of the details of their dramatic love story associated with the novel “Doctor Zhivago.” I felt quite anxious about Scott’s show, and it literally shook me to the core. I was shocked by how finely and deeply an American director and American actors were able to reveal the drama of love and tragedy associated with the novel. We met up after the show with the playwright and the actors, and this is how our friendship started. Later, we came up with the idea of a joint performance. Scott, how did you discover the poetry of Pasternak? 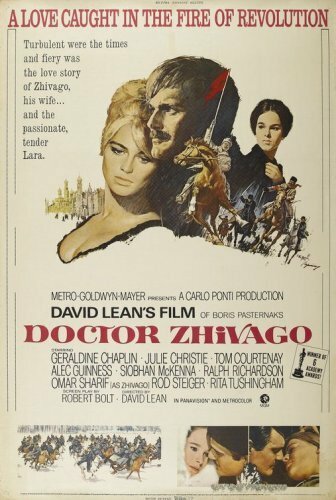 Like many Americans, I first learned about Boris Pasternak after watching David Lean’s movie “Doctor Zhivago.” I was a teenager back then, but I understood it and literally fell in love with this work. After Olga Ivinskaya’s death, her memoirs were published. And my father would clip articles about them and give them to me, because he knew how much I admired the film. Ultimately, I read a lot about this woman and knew exactly that someday her life would be the subject of my next script. After reading her memoir “A Captive of Time: My Years with Pasternak,” I not only got to know Ivinskaya, but, so to speak, I, partly, met Pasternak himself. Scott, it is no secret that Pasternak, as well as any other poet, is quite difficult to translate. In whose translation do you prefer to read his poetry? I am mostly familiar with the translations by Max Hayward. Irina, what do you think, who will be the main audience for this U.S.-Russian production? I think the performance will be of interest to all those who love Russian literature, who know the work of Boris Pasternak. Here, it does not matter whether the viewer is a Russian speaker or an American. The performance will run in two languages, with dramatic scenes in English and the poetic part in Russian, as the music of Pasternak’s poetry is quite difficult to retain in translation. Scott, and what do you think? You know, after Irina saw my production “Lightning from Heaven” and offered me a partnership, I, so to speak, happily jumped at the opportunity. I really hope to introduce my play to the Russians in the audience, and Irina’s play to the Americans. Moreover, the very idea to introduce our joint project at the New York Public Library seemed very exciting to me. I proudly admit it. I hope that such a presentation opens the hearts and minds of people speaking both languages. Speaking of the difficulties of translation and bilingualism of, if I may say so, the staging. Will the actors work simultaneously with the translators, I mean, on the actual play, or will the action be intended for a bilingual audience? Irina: There will be no interpreters. Furthermore, we are sure that the interpreters will not be needed. Spectators are in for a new theatrical experiment. Were there any difficulties during rehearsals or the period when you worked jointly on the script? What was most challenging and how did you divide the responsibilities? It is quite natural that your visions of Pasternak, of his works, and, let’s say, of his personal life are somewhat different? Irina: Yes, working on the script together was not easy. The fact is that Scott does not speak any Russian. So he chose the main scenes, which uncover the main theme of love between Pasternak and Olga Ivinskaya, the dramatic story of Olga, and the drama of the publication of the “Doctor Zhivago” novel. In my turn, I had to connect the scenes from the American show with our poetic part so that they run smoothly. I repeat, we have all the dramatic scenes in English, and poetry will be in Russian. Scott: So far we have not had any problems. Irina sent me her part of the work, with explanations of each section, because I really can neither read nor speak Russian. I sent her excerpts from my play, the ones I wanted to stage. After that, Irina joined these passages and, I think, she did it very professionally. I liked the new script. The rehearsals showed what we needed to change or cut. By the way, we are not saying that this is one story, but, rather, two versions of the same story. Irina’s play is more theatrical and poetic, and mine is more theatrical and cinematic. We will take turns telling the story of Pasternak and Ivinskaya in two languages. My Olga is a passionate woman, with art and literature playing a huge role in her life. In what I have written there is certainly some truth, but there is also a bit of fiction, which is normal for a dramatic piece. Irina’s and my views on the last days of their relationship will vary widely, but they will also resonate with each other, all at the same time. Scott, is Pasternak the only Russian author you know, or are you familiar with the work of other writers? I am a fan of [Anton] Chekhov, of course. “The Cherry Orchard” is one of my favorite plays. I am especially fond of two characters, Varya and Lopakhin. So to speak, they broke my heart the most. And Chekhov’s short stories in general inspire me in the most direct way… My theater, WorkShop Theater Company, has even hosted an evening of one-act plays based on Chekhov’s short stories titled “We’ll Take a Cup of Kindness Yet.” We performed it in Central Park on [last year’s] New Year’s Eve. I was very anxious, but also proud watching it all, because our team did such a great job. Just as proud as I am about Pasternak and Ivinskaya. Come. It will be interesting.